Choosing a suitable campsite is an integral part of your everyday backcountry routine. Knowing what to look for, and just as importantly what to avoid, can mean the difference between a deep slumber and a fitful night of tossing and turning. Sajama National Park, Bolivia, 2017 (MLD Solomid XL). If camping away from established sites, often referred to as wild or stealth camping, the hiker’s responsibility to practice no trace principles is even greater. Avoid making fires (except in emergencies), uprooting plants and breaking off branches in order to make space for your shelter. When it is time to leave, if your shelter has left any imprint, be sure to remove it before setting off. 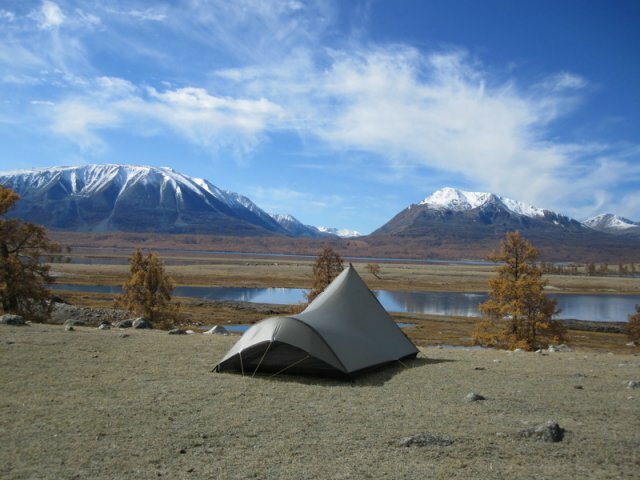 Altai Tavan Bogd | Western Mongolia, 2009 (Tarptent Squall). Sheltered: Camping under big trees means less dew and more warmth. Just make sure that there are no dead branches hanging overhead. Sangre de Cristo Traverse, Colorado, 2016 (HMG Square Flat Tarp). Gorges: If you are camping in a gorge, pay particular attention to any changes in weather patterns. Always try and make camp above flood debris levels (i.e. the highest point reached during floods). Flash floods move incredibly quickly. If there is a chance of heavy rain, it is best to keep walking and make camp elsewhere. Next to Water Sources: Camping next to water sources can often mean more bugs, condensation and the possibility of unwelcome nocturnal visitors (see Bears in Health & Safety). That being said, there are definitely times when it is nigh on impossible to resist a gorgeous lake or riverside campsite. My advice – weigh the pro’s and con’s and take each situation on its own merits. 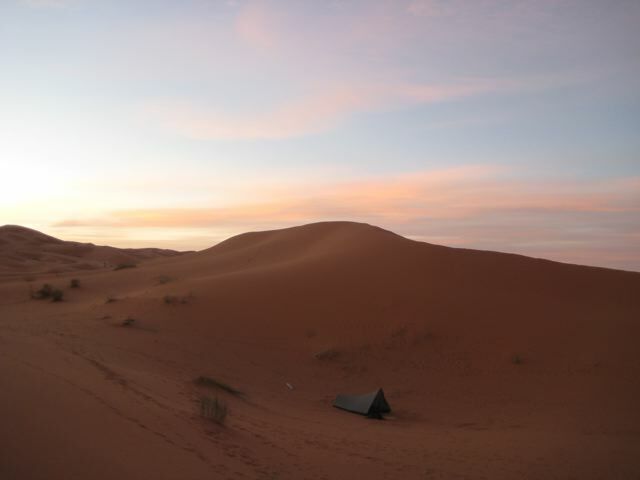 Erg Chebbi | Sahara Desert, Morocco, 2008 (Tarptent Squall).